Small business expert, Jim Blasingame, addresses Raleigh Business Expo on how small businesses can refuse to participate in a recession including specific 21st century best practices. Our Expo attendees are in for a treat because Jim is not only going to deliver two speeches, including his keynote and one on cash flow management, but he's also going to be available to answer questions. 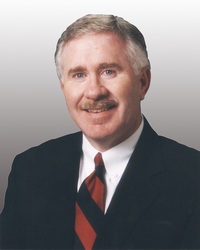 On Thursday, April 17, 2008, award-winning small business expert, Jim Blasingame, will deliver the keynote speech at the Raleigh Chamber of Commerce's Business Expo 08. The Raleigh Expo is the largest of its kind in the Carolinas and will focus on how to run your business more effectively. Blasingame's keynote address, titled "The Century of the Entrepreneur," will include the critical elements of operating a successful 21st century small business. "Jim Blasingame is one of the most important voices on small business and entrepreneurship, and we're very excited about the opportunity for him to provide our keynote at the Greater Raleigh Chamber's Business Expo 08," said Meredith Carruthers, the chamber's Small Business Programs Manager. "Our Expo attendees are in for a treat because Jim is not only going to deliver two speeches, including his keynote and one on cash flow management, but he's also going to be available to answer questions." Recognized as one of the world's leading small business experts and thought-leaders on entrepreneurship, Blasingame is the creator and award-winning host of the nationally syndicated weekday radio program, The Small Business Advocate® Show. He is also a syndicated newspaper columnist, author of two books and founder of the small business knowledgebase, AskJim.biz. "This is my third opportunity to speak to the Raleigh entrepreneurial community in the past few years, and I'm honored to be invited back," Blasingame said. "Congratulations to the Raleigh Chamber for providing this outstanding venue for small business owners to network and learn how to become better 21st century managers." Blasingame was the recipient of the SBA's 2002 Small Business Journalist of the Year award, and he is also a member of the SBA's National Advisory Council. TALKERS Magazine has named Blasingame one of the most important talk show hosts in America. Since 1997 Blasingame has conducted over 1,000 interviews annually on his talk show, reaching millions of small business owners worldwide through his multi-channel content distribution network. He is the president of Small Business Network, Inc., which produces and distributes multi-media small business content worldwide, including The Small Business Advocate® Show, which broadcasts nationwide on radio, plus a live Internet simulcast and two on-demand Internet audio streams. Blasingame's content and resources can be found at SmallBusinessAdvocate.com, and AskJim.biz. His corporate sponsors include IBM, Administaff and Aflac.